Austin City Council Member Greg Casar and the Rev. Chuck Freeman at a sit-in at the state Capitol complex on Monday. 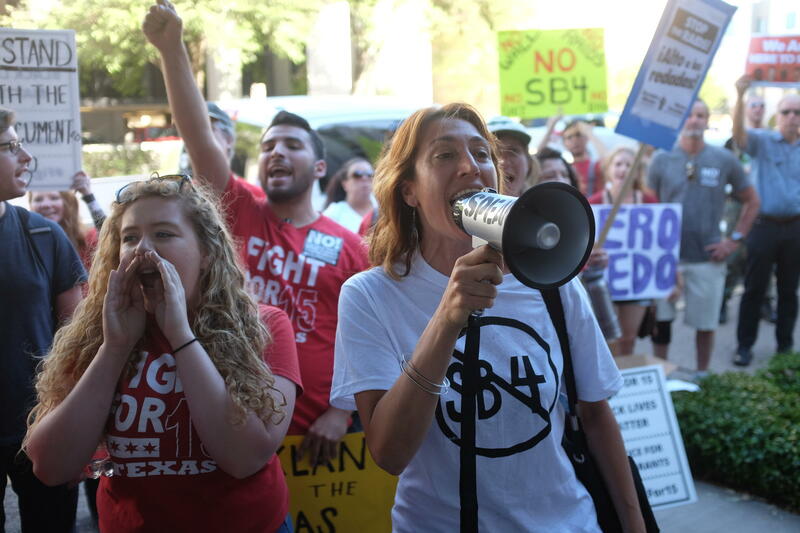 Austin City Council Member Greg Casar joined a protest at the Texas State Insurance Building to protest Senate Bill 4, which would regulate so-called "sanctuary" jurisdictions. 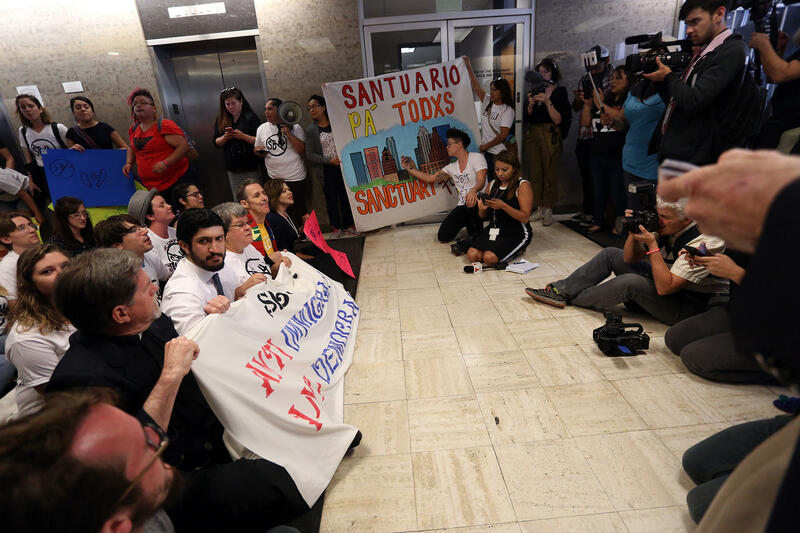 Officers arrested demonstrators who staged an all-day sit-in Monday to protest legislation banning so-called "sanctuary" jurisdictions. 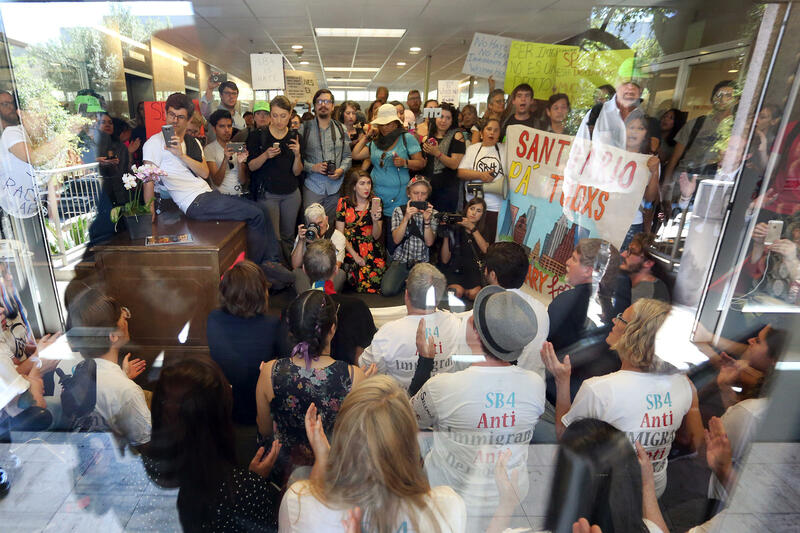 Dozens of people staged the sit-in at the Texas State Insurance Building, calling for Gov. Greg Abbott to reject Senate Bill 4, which would require cooperation with warrantless detainer requests from Immigration and Customs Enforcement. After nearly nine hours, protesters were told to leave by Department of Public Safety officers. Those who did not were told they'd either be cited or booked on site by a judge. Roughly 20 people were either arrested or cited. Minister Jim Rigby of St. Andrew's Presbyterian Church was among the first to be taken into custody. A crowd outside the building chanted, "We stand with you." 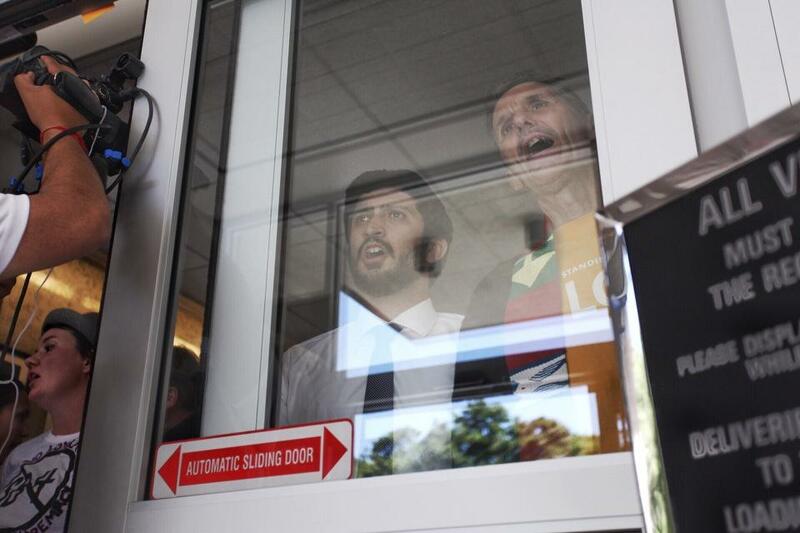 Council Member Greg Casar was also arrested and charged with criminal trespassing, his chief of staff, Neesha Davé, said. In a statement on Facebook following his arrest, Casar said he could not "accept the damage anti-immigrant politicians will do to our families through this law, if it is allowed to stand." 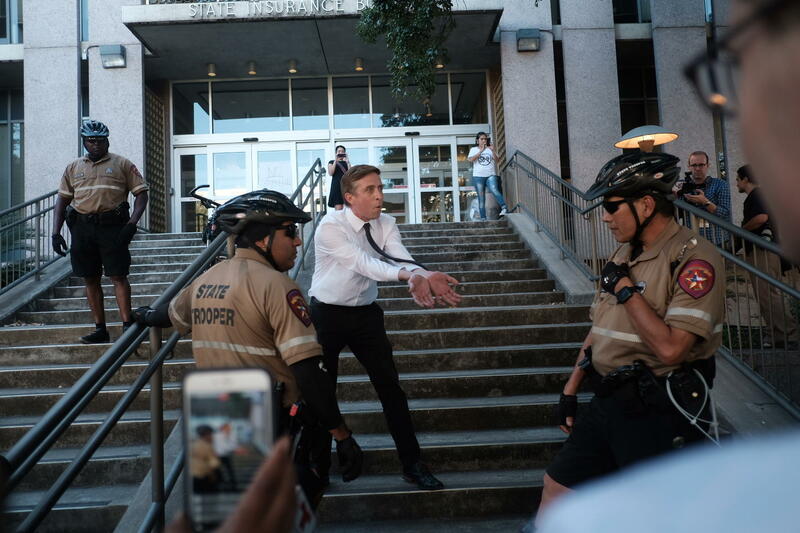 Abbott made the issue an emergency item for the legislative session and has publicly criticized Travis County Sheriff Sally Hernandez's policy regarding the warrantless requests. Abbott also pulled $1.5 million in criminal justice grants from the county because of the policy, which honors requests only if someone has been charged with murder, human trafficking or aggravated sexual assault. 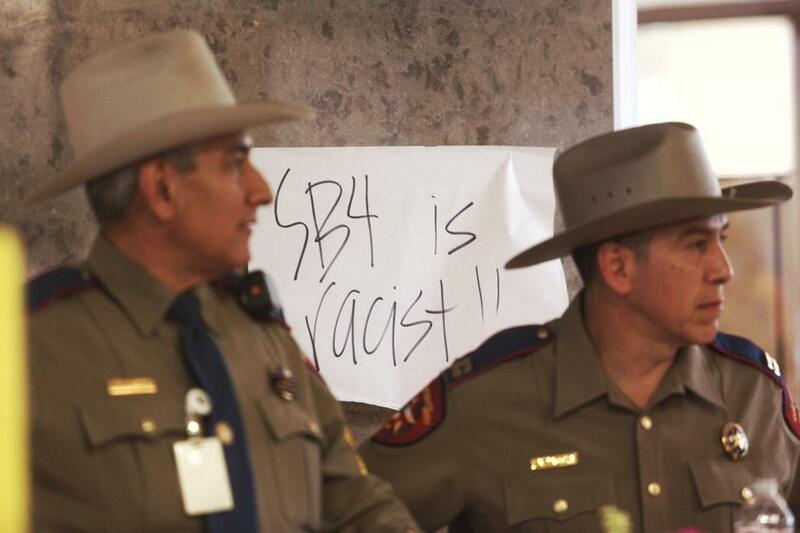 Casar described the bill, known as SB 4, to KUT's Audrey McGlinchy as "unconstitutional" and "anti-immigrant." 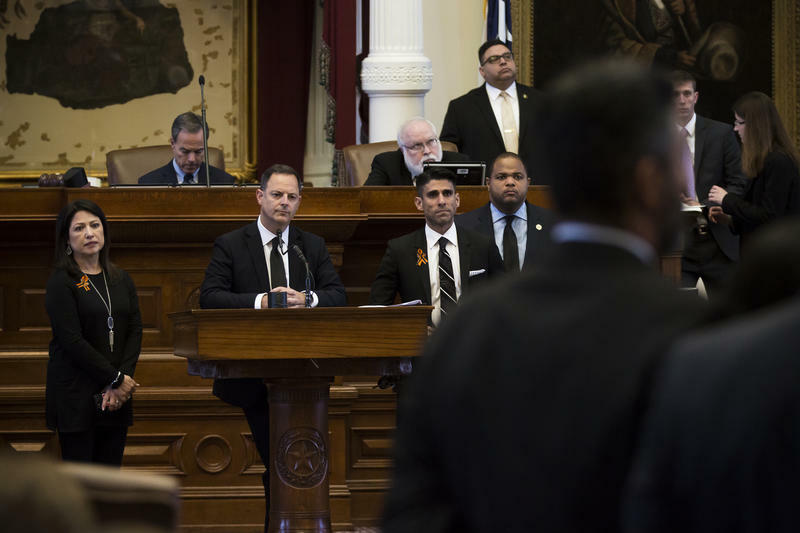 He said he believes the bill, which would allow law enforcement to inquire about an individual's immigration status during detainment, not merely after an individual is arrested, would jeopardize relations between the Austin Police Department and immigrant communities. "This law basically wants to turn our police officers into folks asking to show me your papers," Casar said. [Abbott] wants to force local jails into holding immigrants without a warrant for deportation. And, I think this law is unconstitutional, and we're going to fight it to the end." Abbott’s office did not respond to a request for comment Monday. 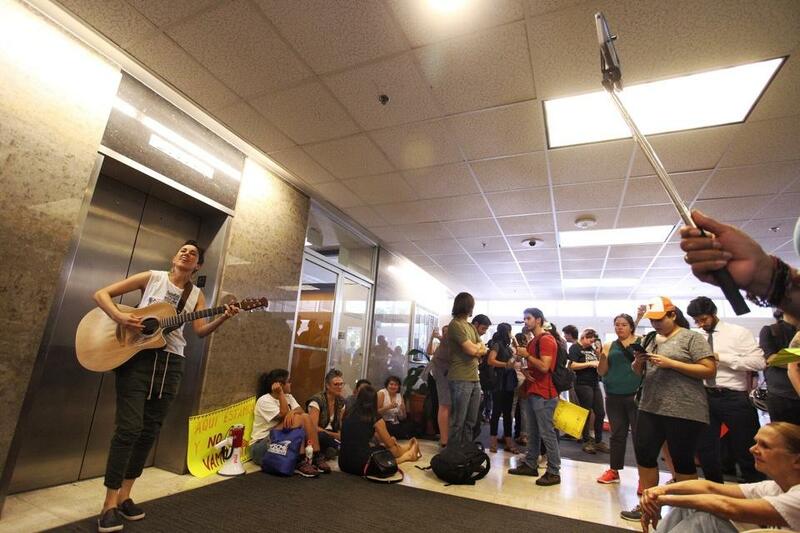 Austin singer Gina Chavez performs for the protesters. Sofia Casini of Grassroots Leadership along with dozens of protesters demand officers allow lawyers into the building where demonstrators were being arrested. Jonathan Ryan, executive director of the immigrant advocacy group Raices, demands officers either let him into the building or arrest him. 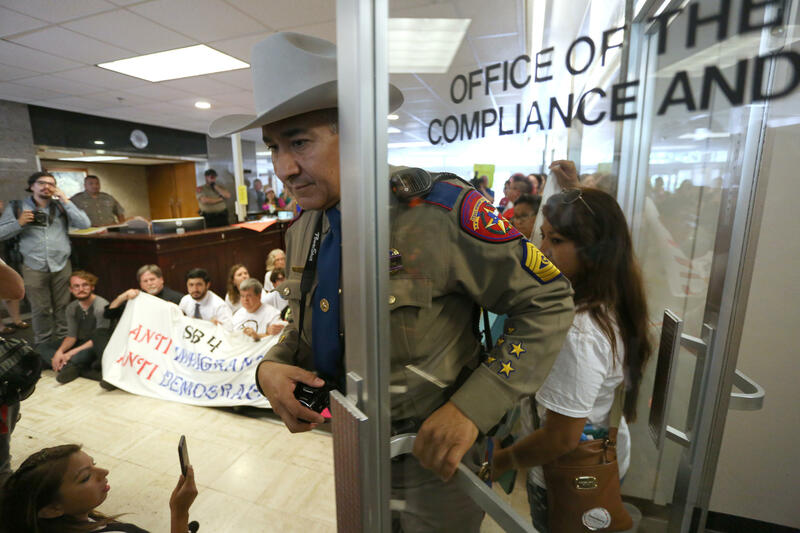 The Texas House of Representatives passed a bill Thursday to penalize jurisdictions that don't honor detainer requests from the federal Immigration and Customs Enforcement agency. The Texas House of Representatives has given tentative approval of a bill to ban so-called sanctuary cities. 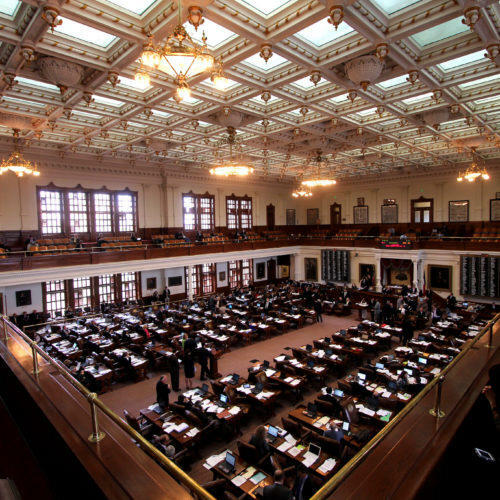 The chamber passed Senate Bill 4 early Thursday morning on a 93-54 vote after about 16 hours of debate. 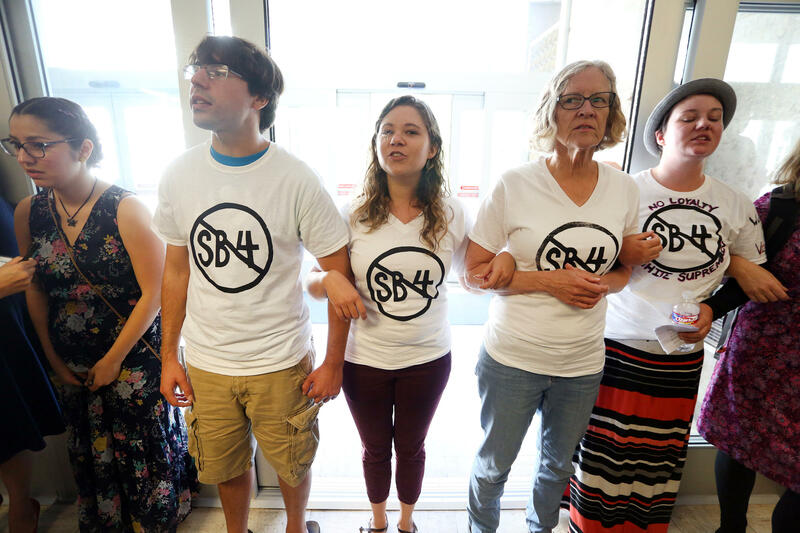 The bill would penalize jurisdictions that limit local law enforcement's cooperation with Immigration and Customs Enforcement detainer requests. The 'Sanctuary' Debate Revolves Around ICE Detainer Requests, But What Are They? 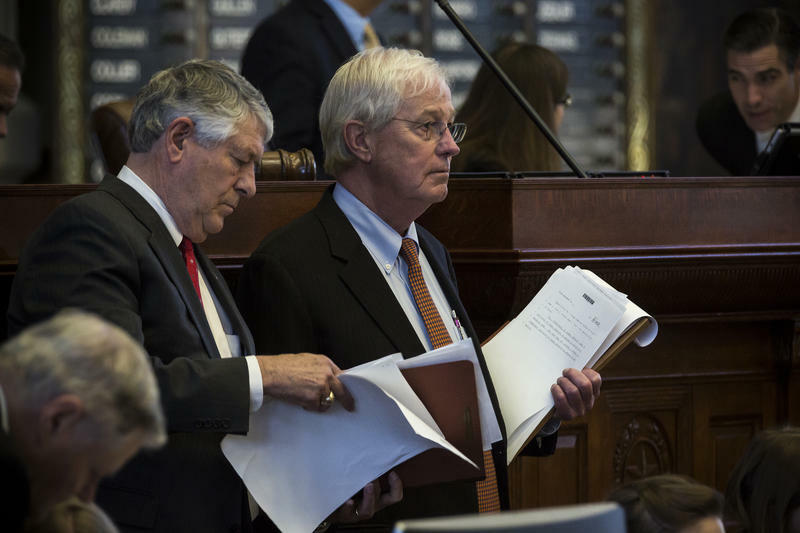 Members of the Texas House of Representatives today will consider Senate Bill 4, popularly known as the “sanctuary cities” bill. The bill would create criminal and civil penalties for law enforcement officials who do not honor all requests from Immigration and Customs Enforcement to detain suspected undocumented immigrants. But how does an ICE detainer request work? A federal judge in California on Tuesday froze President Donald Trump’s executive order that would withhold funds from “sanctuary cities” across the nation. So far, the base definition of such an area includes jurisdictions that refuse to cooperate with immigration detention orders. 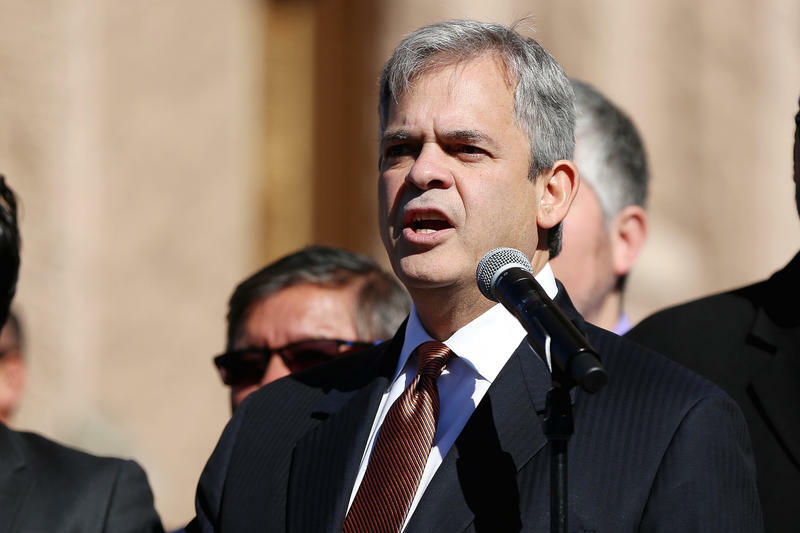 Austin and Travis County do not meet the definition of "sanctuary city" in the eyes of the federal government, Mayor Steve Adler said today after a meeting with Attorney General Jeff Sessions in Washington, D.C.